Hopefully everyone found their (stripy) socks filled with lots of presents this Christmas. A reminder to all of the schedule for Cappoquin next week: All are to meet at the pier in Cappoquin at 10am on Friday 2nd January. We will be staying overnight on the 2nd and 3rd and returning on the 4th. It is up to you to organize your transport. Departure should be at 5:45am from the Boat Club on the 2nd but do not turn up expecting a lift unless you have organised one. Richard Moore is HELPING to organise the transport to Cappoquin training camp after Christmas. If you have a car and are driving, please let him know. If you do not have a way of getting there, give him a call. Call or text 0861508513. Email dubc@tcd.ie. All visitors are encouraged to leave a Christmas message in the Guestbook. It’s good to know who is viewing the site! If anyone has any more photos from Commons, please email them to dubc@tcd.ie. To view some photographs of Christmas Commons, mostly in Boat Club rooms and some from the meal, please follow this link*. Password is required. I hope to have more photos – there were several cameras there! More unsorted photos have been added to the Photographs section. These are totally random and comment or detail about each image is welcome. Christmas Commons night was enjoyed by all who attended. Tradition was upheld and stories of the night’s antics will be told for a long time to come Photos to follow. A date for the Gannon Cup 2004 has been set. It will be held on the afternoon of Tuesday 23rd March. The novice race will be held at 2pm and senior at 3:30pm. The course will be from O’Connell Bridge to Sherwin Bridge. More information will follow closer to the event. A date for Trial Eights 2004 has also been set. It will be held the week before London Head on Saturday 13th March. It would be great to see lots of old boys in attendence – mark the date in your diaries! The next Trinity Regatta meeting will be held at the start of Hilary Term. Details will be posted here. Congratulations to Dave Cummins of DUBC who won the Under 23 Lightweight category at the Irish Indoor Rowing Championships with a time of 6:32.8. Congratulations also to JP Corcoran who came seventh in the Under 23 Heavyweight category with a time of 6:33.0. Remember, money for kit is due on Friday (seniors) and Commons money tomorrow (everyone). Eamonn Hynes (captain 2001-02) reclines in newly repainted Boat Club Rooms (this shot was taken on Friday). A Dance Steward’s badge from DUBC’s “annual dance” of 1937. An Umpire’s Badge from DUBC Regatta 1936. R Lehmann who coached the Trinity crew which won the Thames Cup at Henley in 1903 (thanks to Derek Gordon). These images will be archived shortly in the Photographs section of this site. Last night’s meeting regarding Trinity Regatta was well attended. It will be followed up again with another meeting next Friday at the same time in Boat Club rooms. All to attend. A view of the proceedings at this week’s meeting. A meeting to discuss Trinity Regatta 2004 will be held in Boat Club rooms, House 23 tomorrow, Friday 28th at 6pm. All members are asked to attend. A cleanup of the club and extention will take place on Saturday afternoon after first year novice training. This will be organised by Stephen Heary of House and Grounds. All members should pay money due for the Christmas Commons evening to Treasurer Colm McCaughley or captain Richard Northridge as soon as possible. The cost of the evening is 30 euro which covers drinks and food. The night will begin with a champagne reception in Boat Club rooms, House 23 at 5pm on Thursday December 11th. Commons is at 6:15pm in the Old Dining Hall. Post dinner sherry reception will take place in the conversation room of the Graduates Memorial Building. Money for senior kit should be paid as soon as possible to Eamonn Hynes. Deadline is the last day of Michaelmas Term (Fri 5th December). Information regarding kit orders for seniors is available in Current Rowers. Fly the flag. Thanks to Eamonn Hynes for arranging this years’ kit order. A provisional list of events which DUBC will attend in 2004 is available in Current Rowers. More photos from Neptune Head available in Photographs. Thanks to Matt Pitt of Trinity News who took most of these. Photographs from Neptune Head of the River last Saturday can now be found in Photographs. More photos to follow soon. DUBC had an excellent day on Saturday at Neptune Head of the River, winning every category entered. DUBC/Lady Elizabeth A was the fastest boat of the day, covering the course in under 12 minutes and winning senior eights. The DUBC intermediate eight beat Neptune and Garda to win inter eights. The first novice eight beat UCD, Garda and Arklow to win novice eights. Neptune head was the first race entered by sixteen new novices and two new coxes who had an enjoyable day’s racing. Congratulations also to Dublin University Ladies Boat Club who had a successful day. The complete results can be read at Irish Amateur Rowing Union. DUBC enters its first race this season at Neptune Head of the River on Saturday, 15 November. At the first head, DUBC will race an intermediate eight and two novice eights, and in the second head, two composite Lady Elizabeth/DUBC senior eights and two novice eights. The draw can be read at Neptune Rowing Club. The Boat Club’s song book, the “Bible”, is now available to read online. If you are a current or old member of the club and wish to access it, please apply to dubc@tcd.ie. The “Bible” is strictly private and access will not be granted to non-members. Those curious can view a list of the Boat Club’s silverware here. Saturday’s Annual General Meeting, chaired by Rob van Mesdag and held in the boat club, was extremely successful. A new constitution was ratified which will be available to read here shortly. The names of those awarded colours this year can now be viewed here. Congratulations to all. The Boat Club’s Christmas Commons meal will be held on the evening of Thursday, 11th December. All current and old members are welcome. If you are not a current rower and wish to attend then please email dubc@tcd.ie to register your interest. The price of the evening is yet to be decided. A post dinner reception will be held in the conversation room of the Graduates Memorial Building. All to meet at Boat Club rooms, House 23, Rubrics, at 5pm that evening. Dress is formal. Dublin University Boat Club will hold its annual HALLOWEEN MASSACRE party on the night of Thursday, October 30th at the boat club in Islandbridge. Tickets at seven euro each will be available from stands in the Hamilton and Arts buildings the previous week and are available to all. Buses will leave from the Pav that evening – details to be announced. The Annual General Meeting of the Dublin University Boat Club will be held at 7pm on Saturday, 25th of October at the boat club in Islandbridge. Attendance is mandatory. The latest rowing article from the University Record can be read here. Many thanks to Alana Kerr of Dublin University Ladies Boat Club. 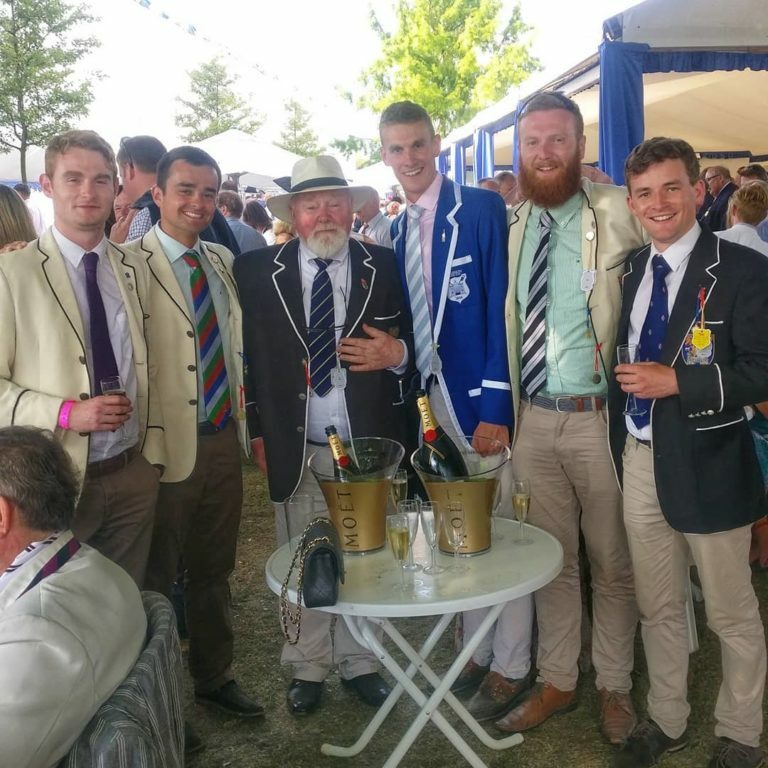 The rules of the river and the rules regarding club colours can now be read in Current Rowers. This month’s article from Trinity News by Shaula Connaughton-Deeny of Dublin University Ladies Boat Club can be read here. Saturday’s introduction to rowing and the Boat Club to all new recruits was a great success. Training will begin with Run and Circuits at Luce Hall on Wednesday, 8 October at 19:30. All to attend. If you missed Saturday’s introduction at the Boat Club then come along on Wednesday. See you there. Novice training schedule is now available in Current Rowers. Inter training schedule now lists training times. The website’s fresher’s week messages can still be read by accessing the following links: Imagine a sport and Dear Fresher, Welcome to Trinity College. Provisional intermediate training schedule is now available in Current Rowers. Details of novice coaches and dates should be available in the next few days. All members are also invited to add their details to the online database by filling in the form at the Members’ Contact Details* page. New web site launched! The latest incarnation of the Boat Club’s Internet presence is a combination of last year’s “News and Photos” site, and the older DUBC web site. The intention is for this page to be updated regularly – input is therefore required from you! Send all photos and other information to dubc@tcd.ie.